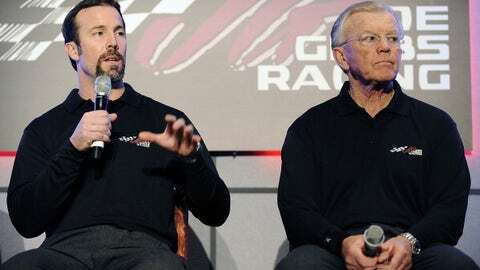 Joe Gibbs (right) celebrated his 76th birthday Friday. 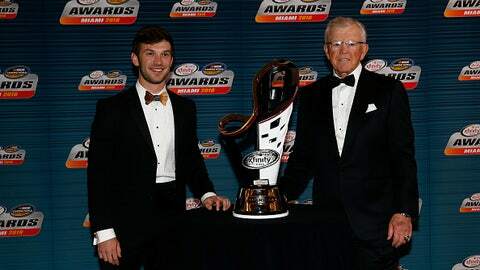 Earlier in the week, he celebrated one of his drivers, Daniel Suarez, becoming the first Latin-American driver to win a NASCAR national touring championship. 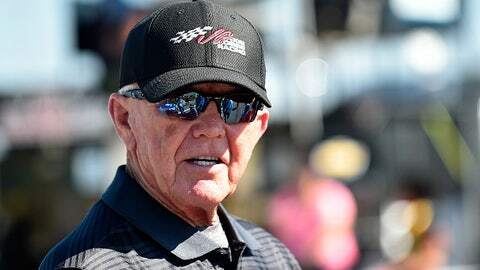 Suarez clinched the XFINITY Series title last Saturday at Homestead-Miami Speedway, giving Gibbs his second championship in the series to go along with four titles in NASCAR's Premier Series and three Super Bowl triumphs as head coach of the NFL's Washington Redskins. 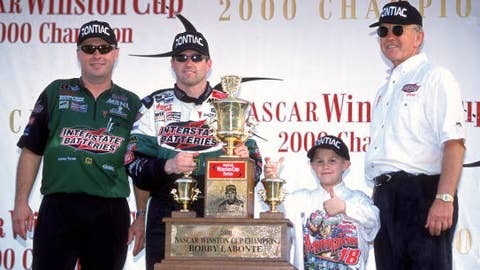 Gibbs (far right) celebrates his first championship at Joe Gibbs Racing with driver Bobby Labonte (holding trophy) in 2000. 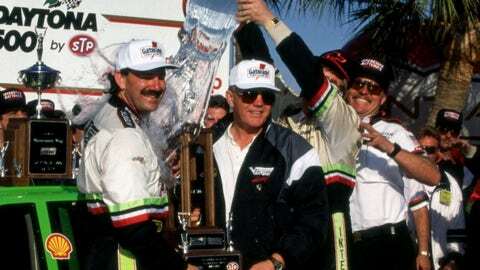 Driver Dale Jarrett (left) takes a bath with Gibbs (center) after Jarrett won the 1993 Daytona 500 to give JGR its first victory as a company and Joe his first win as a car owner. 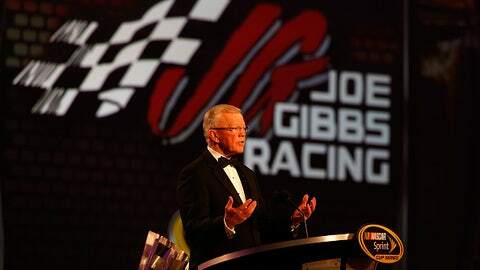 Gibbs founded JGR so he could spend more time with his sons, J.D. and Coy, who have been involved with the operation. But he's the man behind all the success, which includes a total of 267 race victories overall, including 140 in NASCAR's top series. 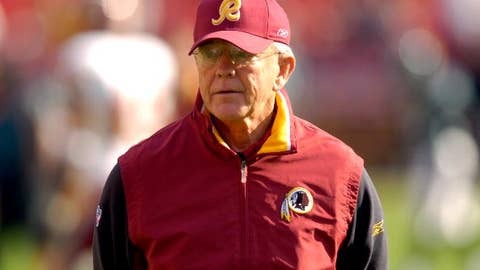 Gibbs spent two tours as head coach of the Washington Redskins, winning NFL championships bydefeating Miami in Super Bowl XVII, Denver in Super Bowl XXII and Buffalo in Super Bowl XXVI. He remains the only coach to have won three Super Bowls with three different quarterbacks (Joe Theismann, Doug Williams and Mark Rypien). Joe has worked closely with son J.D. 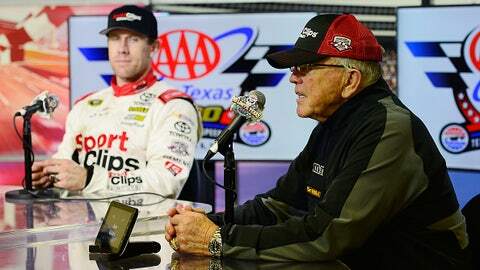 Gibbs (left), who is JGR's team president. 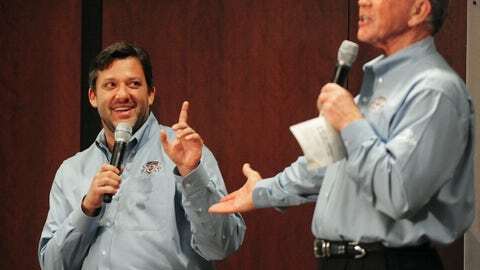 Driver Tony Stewart (left) jokes with Gibbs. Stewart, who retired at the end of this 2016 season, won the first two of his three NASCAR Premier Series championships while driving for JGR. Gibbs on the starting grid before a recent NASCAR race. 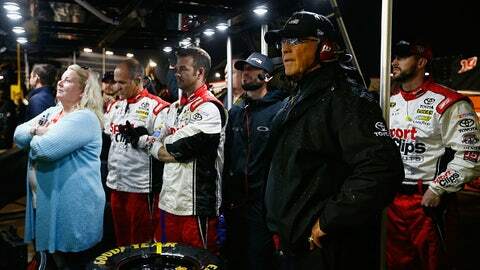 Gibbs (right) with the team of Carl Edwards during last Sunday's championship race at Homestead-Miami Speedway. Edwards wrecked with 10 laps to go when he was in position to win another title for JGR. Gibbs (far right) celebrates with driver Kyle Busch, his wife Samantha, their son Brexton and a Busch team member after a big 2016 win in the Brickyard 400 at Indianapolis. 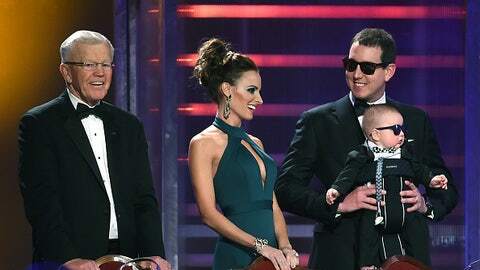 Gibbs (far left) with Samantha, Kyle and Brexton Busch at he 2015 NASCAR Awards Ceremony in Las Vegas, after Busch won the 2015 title for JGR. 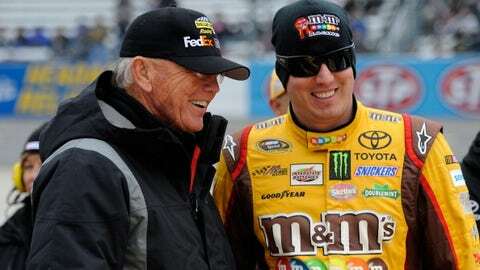 Gibbs with Kyle Busch before a race. 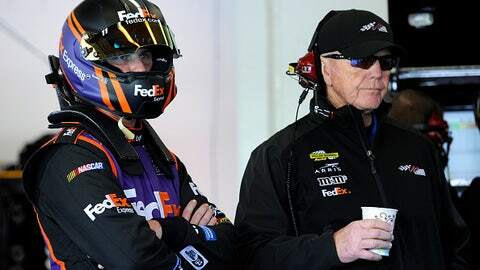 JGR driver Denny Hamlin (left) with Joe before a race. JGR driver Carl Edwards (left) with Gibbs at Homestead last weekend. 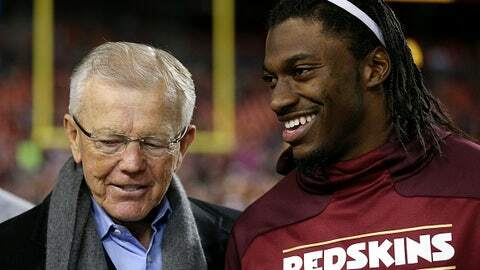 Gibbs with former Washington Redskins quarterback Robert Griffin III. 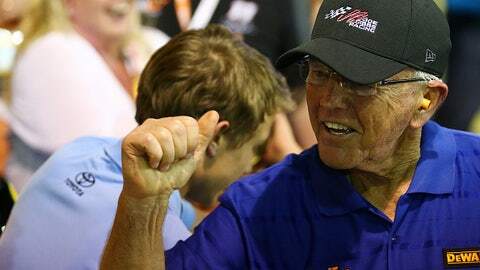 Gibbs pumps his fist after yet another JGR victory.